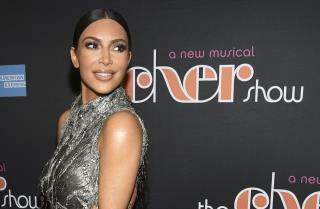 (Newser) – Kim Kardashian West still makes headlines for things like posing in a skimpy leotard, but she's also been making headlines for her work as an advocate for criminal justice reform: She was a big part of the push that got Cyntoia Brown granted clemency, helped convince President Trump to grant clemency to Alice Marie Johnson, and paid years of rent for another nonviolent offender who was recently released after federal sentencing reforms took effect. So perhaps it should come as no surprise that the reality star reveals to Vogue, in a new cover story, that she plans to take California's bar exam in 2022. The state, as it turns out, is one of just four to offer a path to passing the bar that doesn't require a college degree: You can apprentice for four years with a practicing lawyer or judge, which Kardashian West is currently doing. A hobbit can't be no lawyer. Well, this has to be the funniest thing that I will read today.